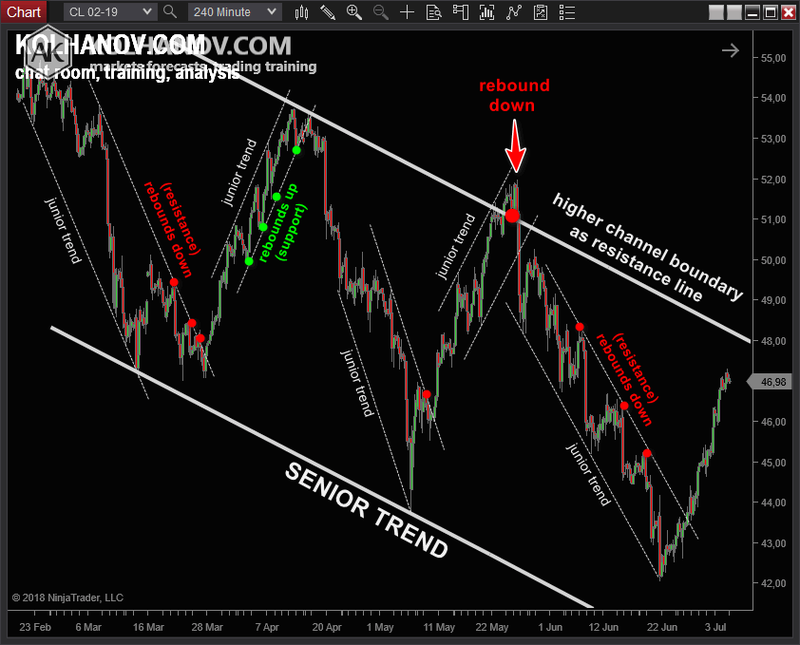 If you ask several traders to draw a trend channel, each one will draw it in their own way different from others. But in fact, only one channel break is true and profitable, and the rest are false and lead to losses. If one relies on intuition when drawing a trend channel, failing to observe certain rules, then most of the time a deal that is opened upon the break of such channel will lead to loss, since the channel is falsely broken. As a result, the loss taken on mere attempts of entering the market upon the break of trend channel will be greater than potential profit from the trend, which follows one of the breaks. After many years of trading I have come up with universal rules for drawing a proper trend channel, which avoids false breaks. And even if a false break happens, I have other rules for minimizing the loss and re-entering the market with the greatest accuracy. 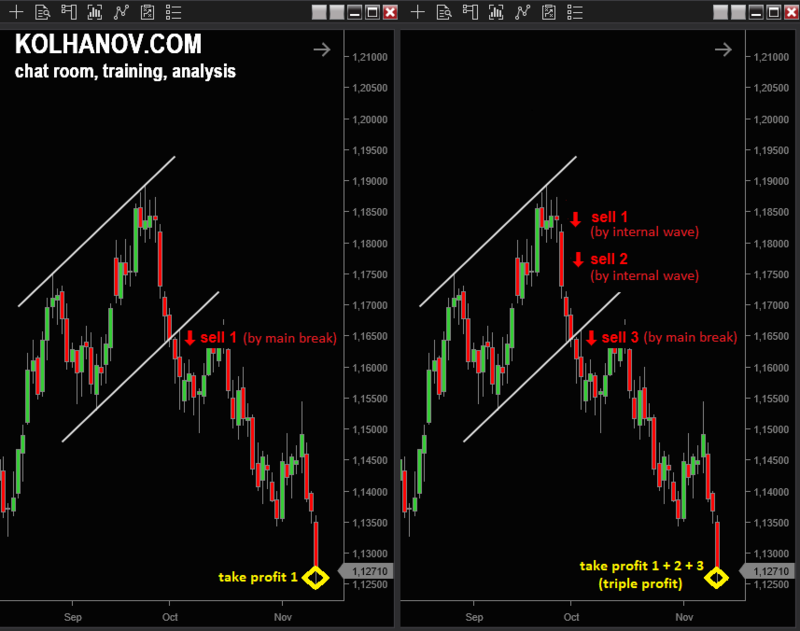 Unlike indicators, a trend channel does not produce any unnecessary signals. It either gets broken, and then the market begins reversal (or forms a pattern), or the market stays within the channel and the trend continues. Trend channel break only happens at the very top/bottom of a trend, which makes for an opportunity to take the maximum profit from the entire trend wave. Open a deal upon the break of trend channel, place stop loss behind its boundary, close deals with profit at the trend’s top also upon the break of trend channel and open a new deal from there. Trend channel is a truly universal tool for trading, it is as simple and clear as it gets, as opposed to overloaded perception of the market through numerous indicators. 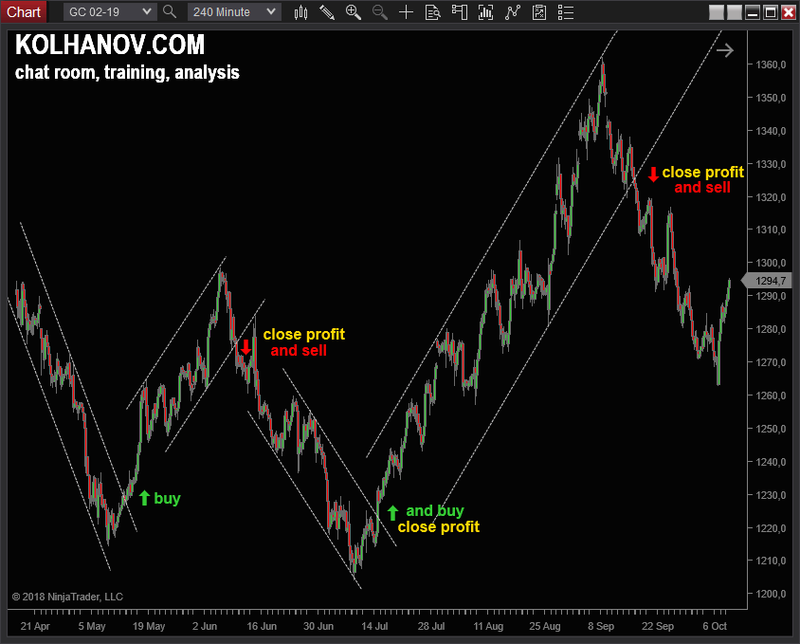 If you divide the market into waves (this concept is included in this lesson), you can open deals long before the main trend channel gets broken, relative to its inner channels. Where a classic trader opens just one deal, you will reveal an opportunity to open 2, 3 and more deals resulting in doubled/tripled profit. Open deals at the very top of the trend, continue adding deals while the market is moving within the channel and after it gets broken, close the deals with profit upon the break of the ending trend, multiply earnings. 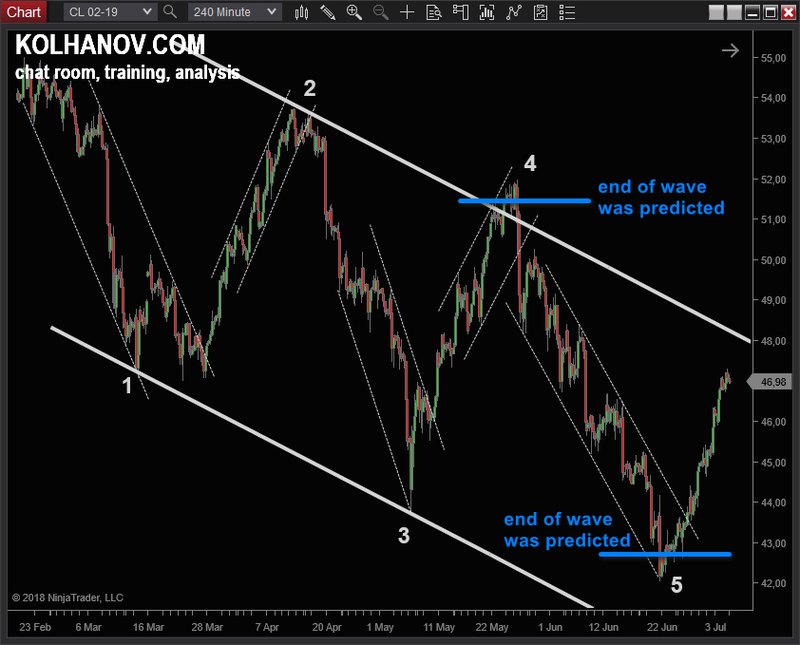 This lesson includes basic theory on Elliot waves and introduces the Model of Wave Symmetry (MWS), which lets you determine the ending price of wave 4 (corrective) and 5 (end of the entire trend cycle) in advance. The ability to divide the chart into waves gives all the advantages mentioned above. You will have insight on what’s happening at every time frame and see the market perspective in future. A certain behavior of trend channels/lines produces “vacuum” zones, which turn into non-classic support/resistance levels. Such levels cannot be seen without trend channel/line drawn. Also note that the market likes to revisit these levels often. In a sense, these are practically gaps, where a total imbalance between buyers and sellers emerges. These levels can be clearly revealed through volume analysis (volume profile, footprint). 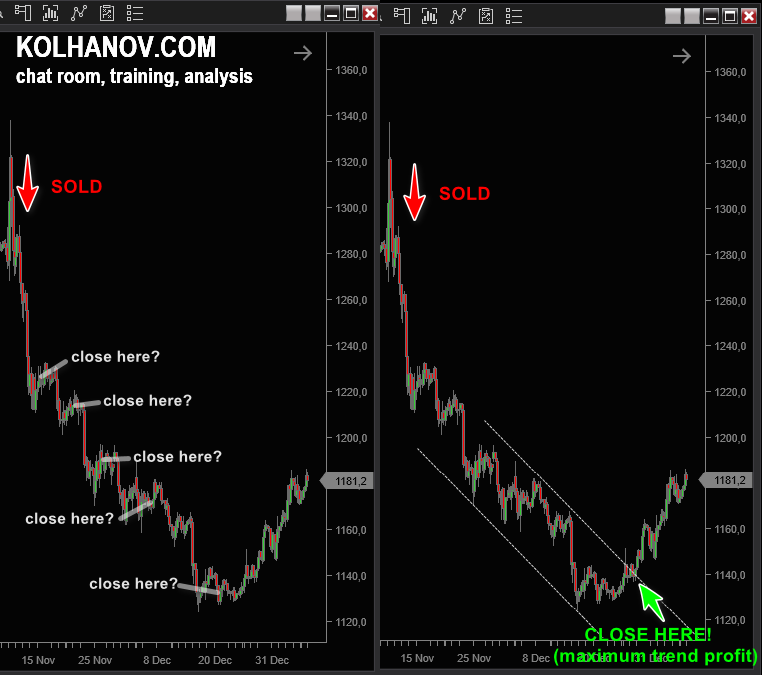 If you don’t use volume analysis in your trading – no problem, as trend channels/lines are as good at revealing these. 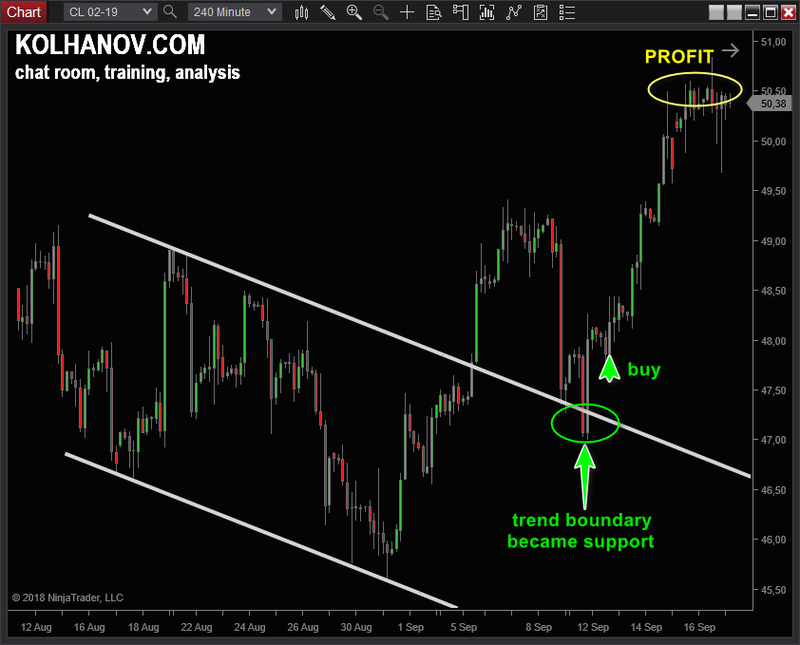 The trend channel/line itself may also serve as a support/resistance when the market rebounds off its boundaries. At this chart you can see multiple times when the upper channel boundary turned into resistance, and the lower into support. 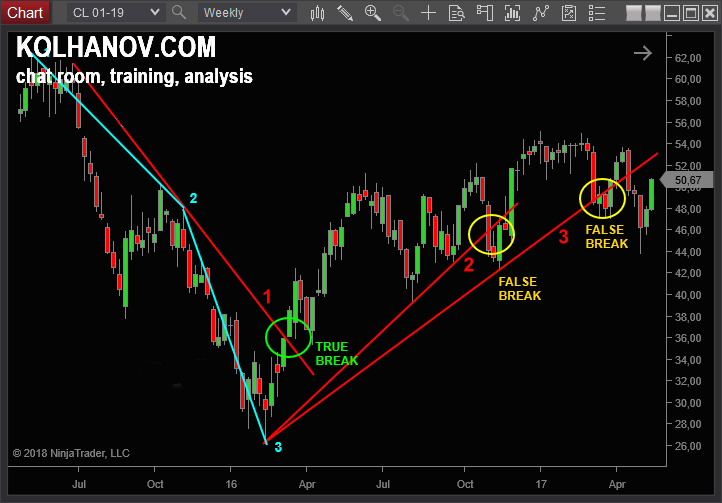 When we decompose the chart into lesser and greater trend channels, we can determine the point of trend reversal upon rebound from a greater channel boundary and confirm that reversal by a lesser channel’s break. By doing so we can open a deal at the very top of the trend. 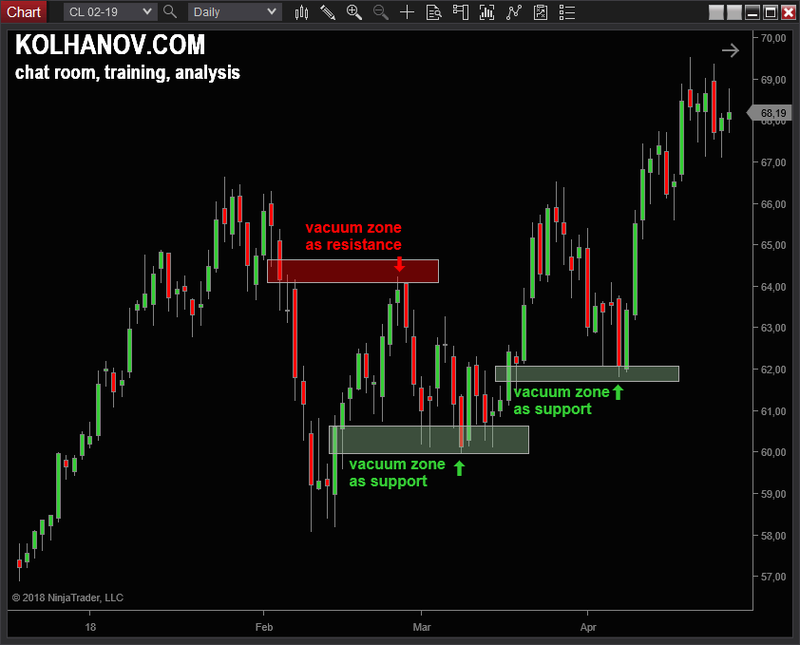 When the market moves past a channel’s boundaries, a channel keeps its influence by turning into support/resistance. If a channel is drawn properly, knowing its boundaries may be beneficial in trading, as they point at market reversal points. 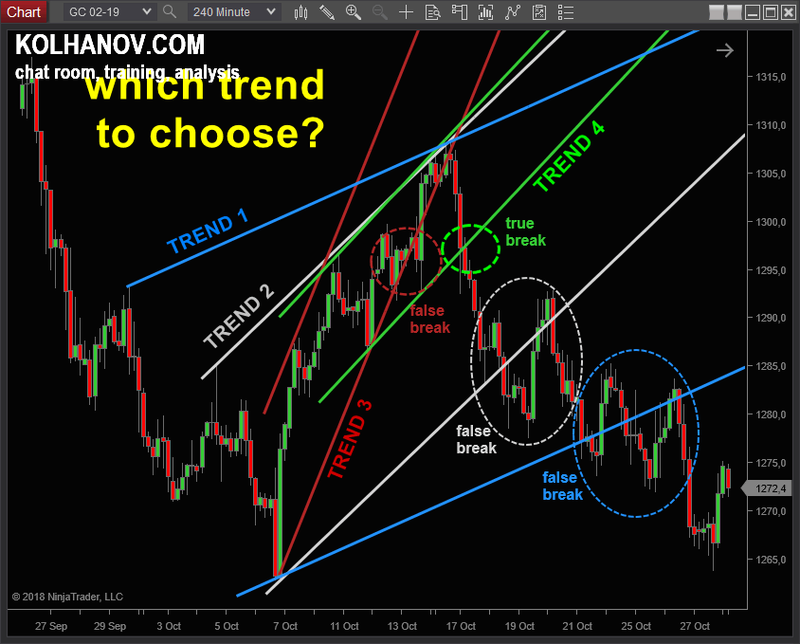 Trend line, just like channel, has its own clear rules of drawing. If a trader fails to observe these rules, the line will be broken falsely and bring loss. There can be a lot of incorrect lines, because practically any two anchor points that you see at the chart can form a line. Correspondingly, trading with incorrect lines leads to a series of loss deals. However, when you know clear rules of trend line drawing, you don’t draw incorrect lines and don’t open deals according to those. As such you avoid losses and make profit on true breaks. Less deals, less anxiety, more profit, more free time, more joy from trading. 2) 1 hour 22 minute narrated video with examples and explanation. 6. What is a trend? Anton Kolhanov. All Rights Reserved.